Hey guys, come back again with a new anime theme. 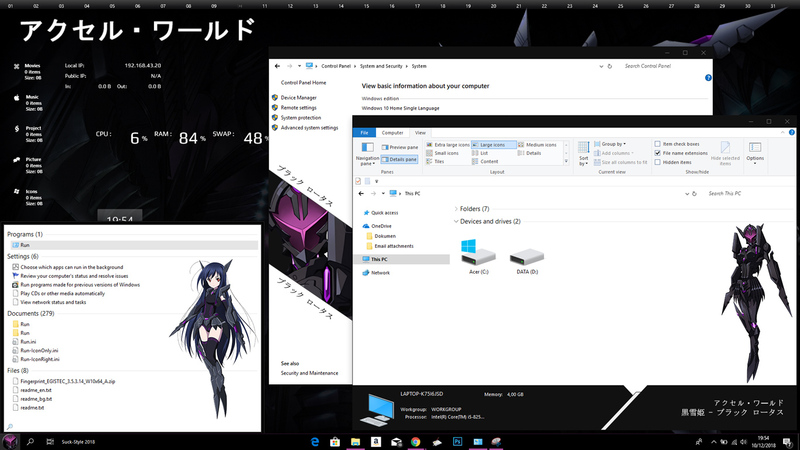 The theme that I share this time is not from a new anime, but an old anime, that is date a live. 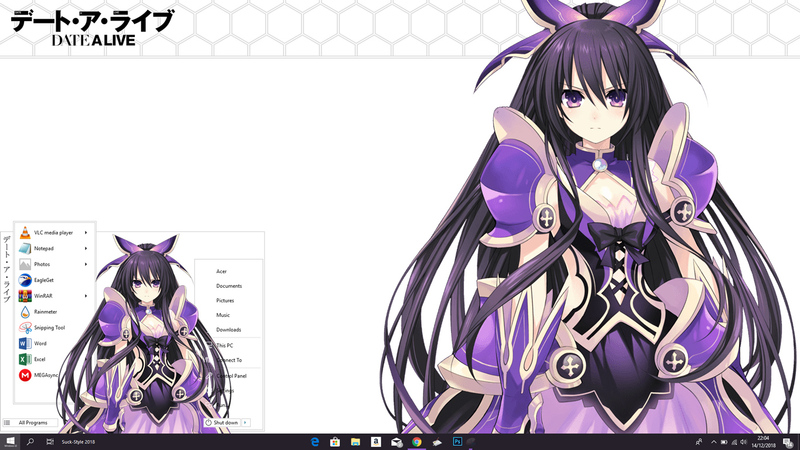 The first character I made was Yatogami Tohka. 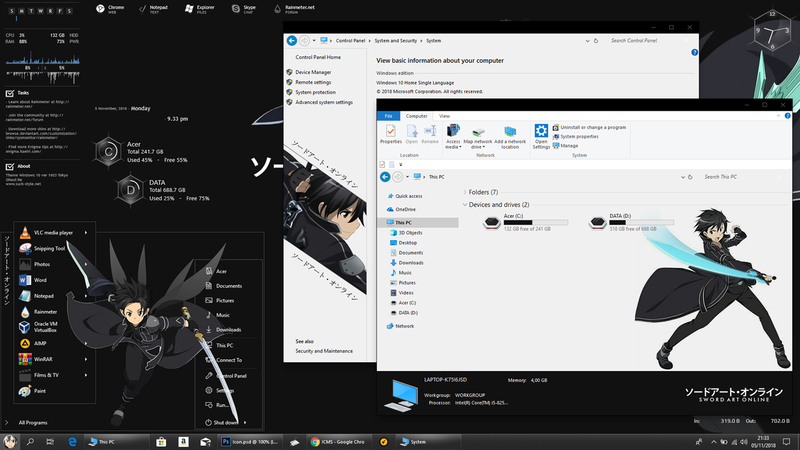 Previously, I had created the tokisaki kurumi theme and also its name for the windows 7. 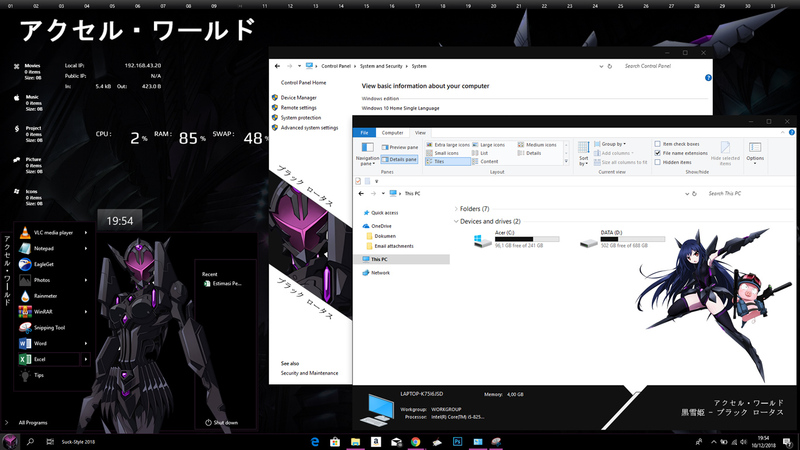 I have entered these characters in my Windows 10 project. 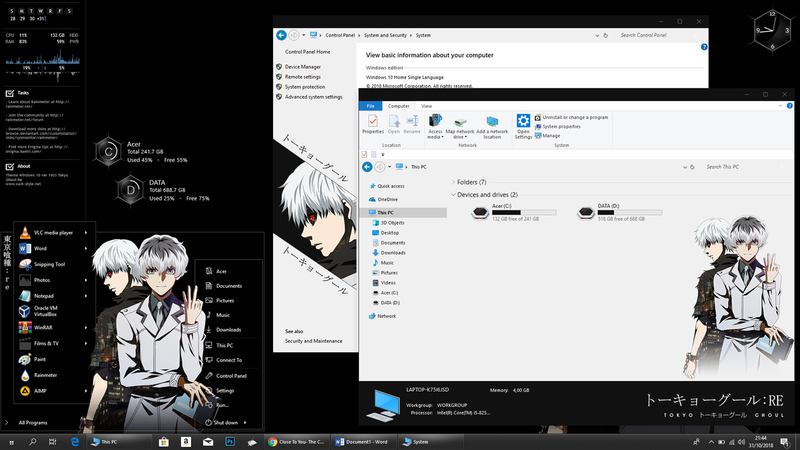 The basic color of this theme is black and white, but more shades of white. The reason is white is very neutral for some characters who have a very striking color appearance. I am quite satisfied with the combination of colors on this theme. Well, that's all I can explain. I hope you like it, see you at the next post. Favourite quote: "You were there for me, you saved me, much like what today, you asked me out on a date and showed me how nice this world is." Tooka Yatogami is one of the main female characters of the Date A Live series. She is the first Spirit saved by Shidou and transfers into his class at the end of the first volume. 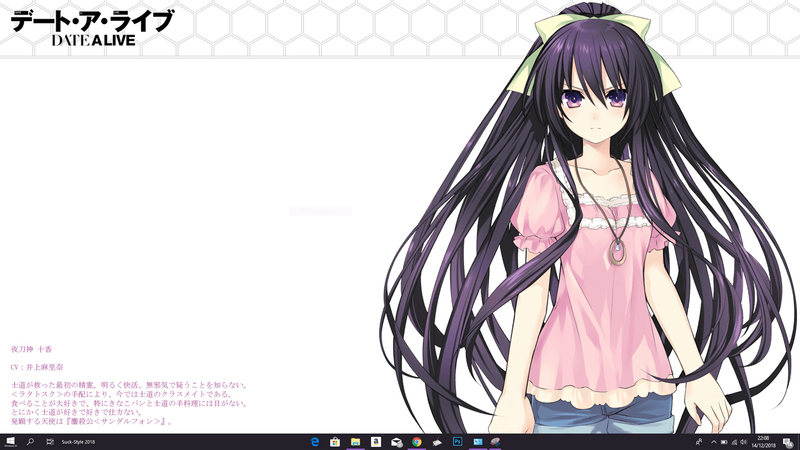 Shidou named her for the date of their first meeting, the 10th. Reine later added the Yatogami surname for her. She is ignorant of the ways of the world, but nevertheless has a normal sense of embarrassment. She seems to have strong feelings for Shidou, which she is shown to be unable to understand when she gets jealous after seeing Shidou accidentally kiss Yoshino. 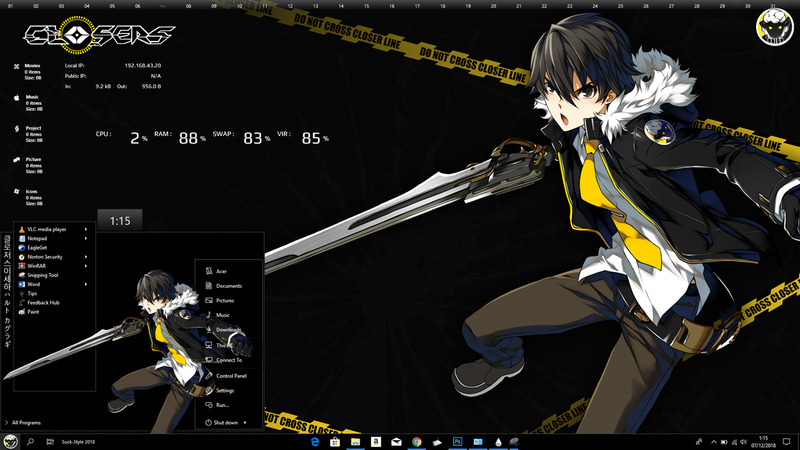 yesterday I just updated a new theme from game Closers characters, Seha Lee. 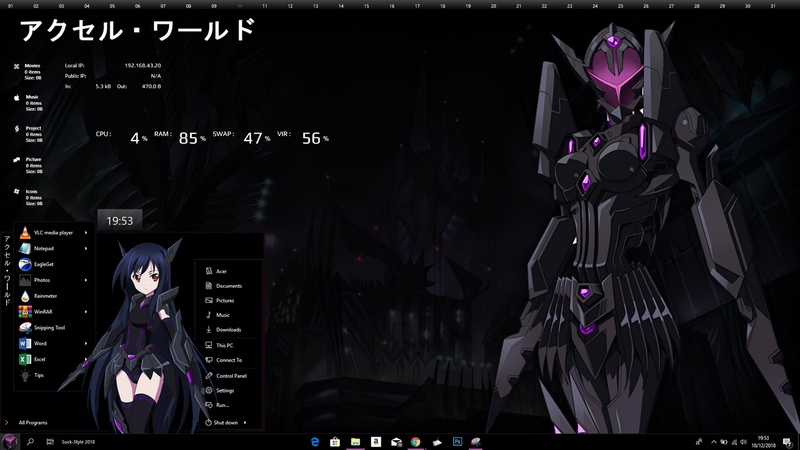 Today I want to share one more new theme from one of the old anime characters, Kuroyukihime from the Accel World anime. 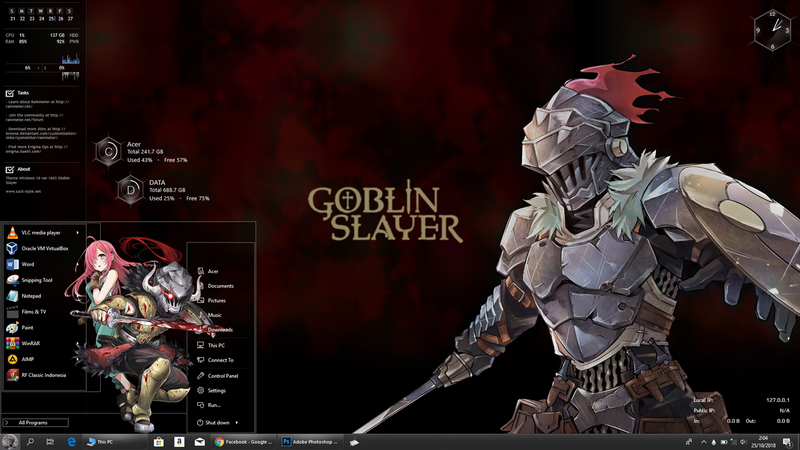 Actually I didn't plan to make this theme. I only found some pictures of this character that I felt were good enough to be a theme. So I did it. There is nothing different from my previous themes, I still use the basic style that I've been using. Well I hope you like this theme, don't forget to share it with your friends. See you in the next post. 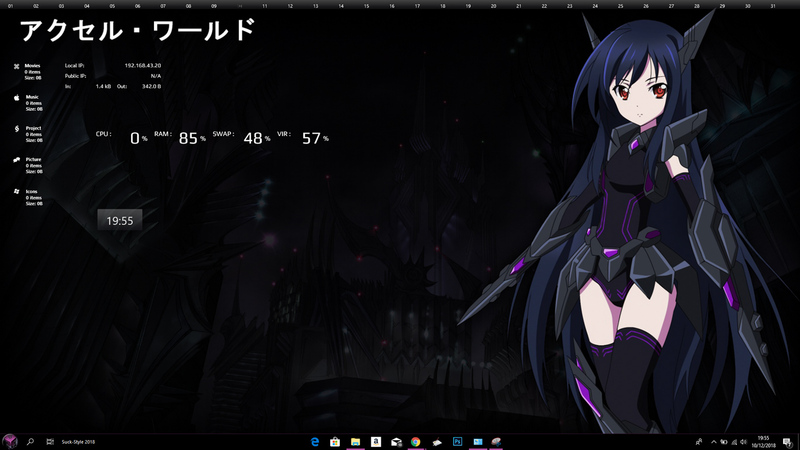 Kuroyukihime (黒雪姫, Kuroyukihime) is one of the main characters in the Accel World series. She is the Black King (黒王, Kuroō), Black Lotus (ブラック ロータス, Burakku Rōtasu), and the leader of the Black Legion, Nega Nebulus. She is the person who gave the Brain Burst program of Haruyuki and now works together with him to reach Level 10 and meet the creator the Accelerated World by defeating the other Pure-Colored Kings. Yo guys, how are you? 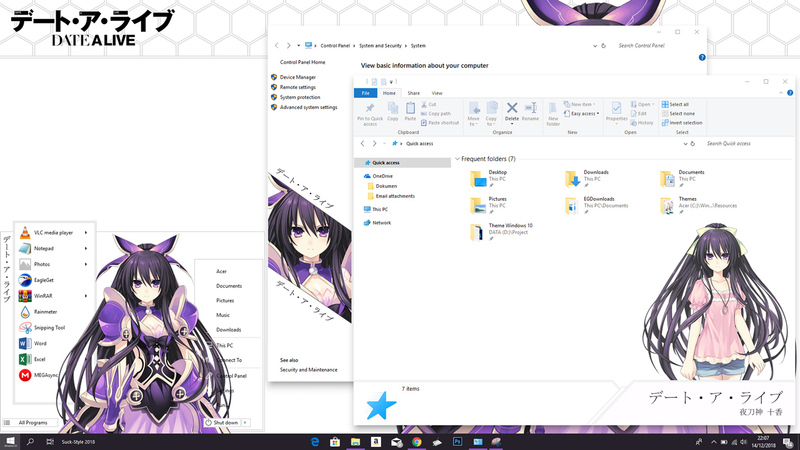 It's been 2 weeks since I updated the new theme. 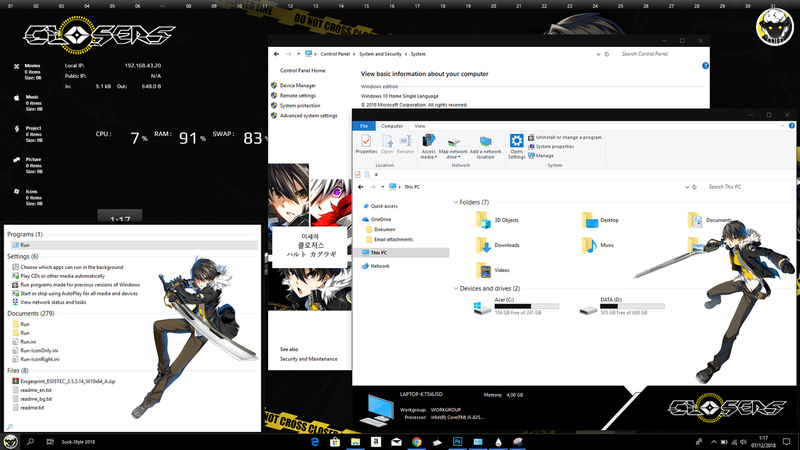 Today I want to share one new theme but this time not from anime but from the game, Closers. The character I choose is Seha. I don't know much about this game, only saw it several times in several forums and I was interested in making it a theme. and I did it today. 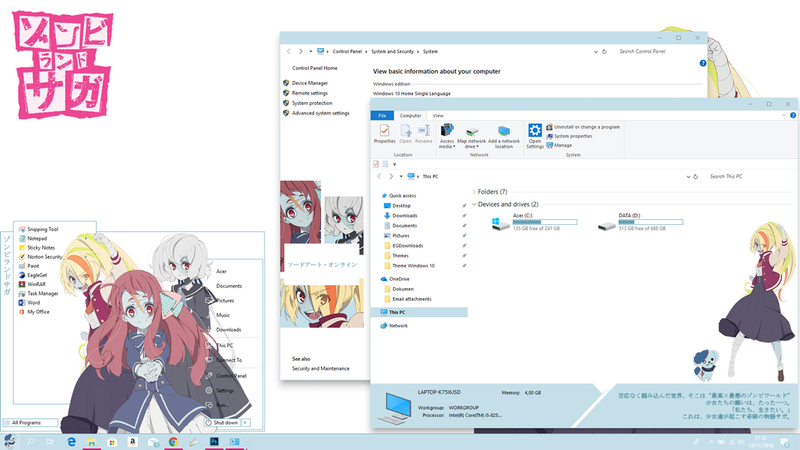 The basic style of this theme is the same as the Tokyo Ghoul and Kirito themes, but I made a preview pane and background panel control like the previous theme, the Zombieland Saga. 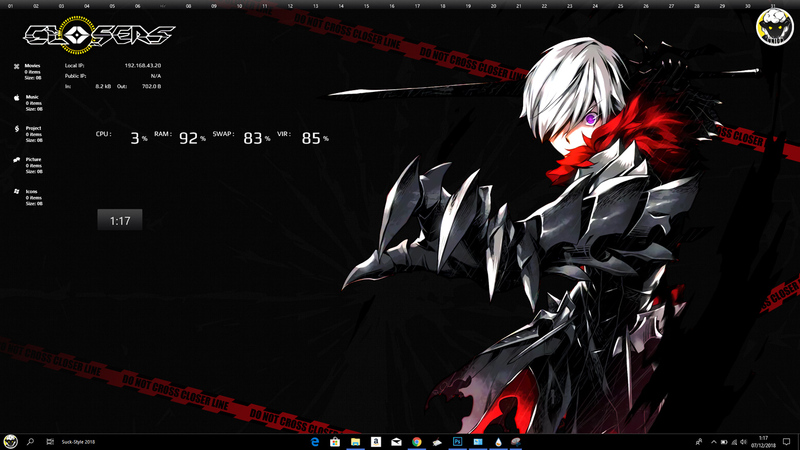 All wallpapers on this theme are HD 1920x1080. That's all I can explain about this theme. I hope you like it, see you on the next post. Seha is one of the playable character in Closers Online. Armed with a gun blade, Seha plays a primarily melee playstyle through his swordplay to create intricate combos. His range disadvantage is alleviated by the bursts of armor-piercing explosions he can blast out of his weapon to catch far-off enemies or combine in aerial combos to deal as much damage as possible. 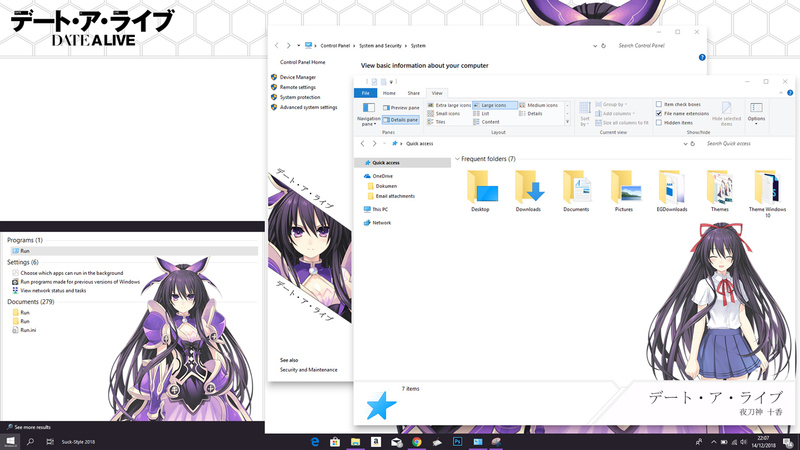 Today I want to share a new anime theme for Windows 10 version 1803 again. The theme I share this time is the Zombie Land Saga. One of the 2018 fall season anime. But for this theme I only put 3 characters, Minamoto Sakura, Nikaido Saki and Konno Junko. 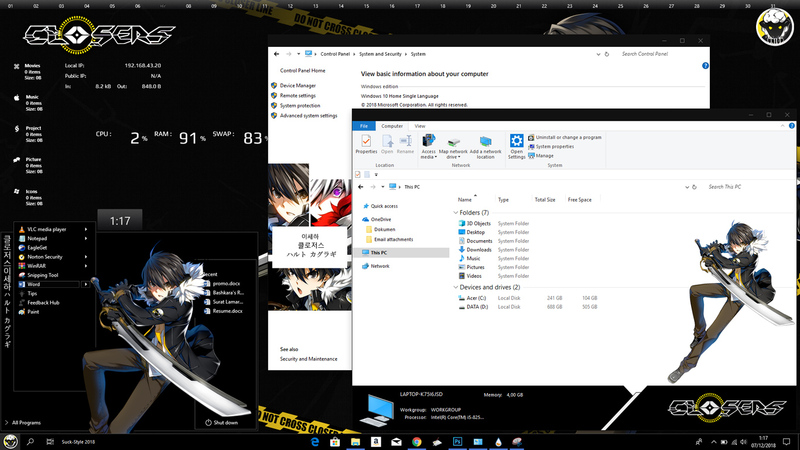 This is my second anime theme for windows 10 version 1803. 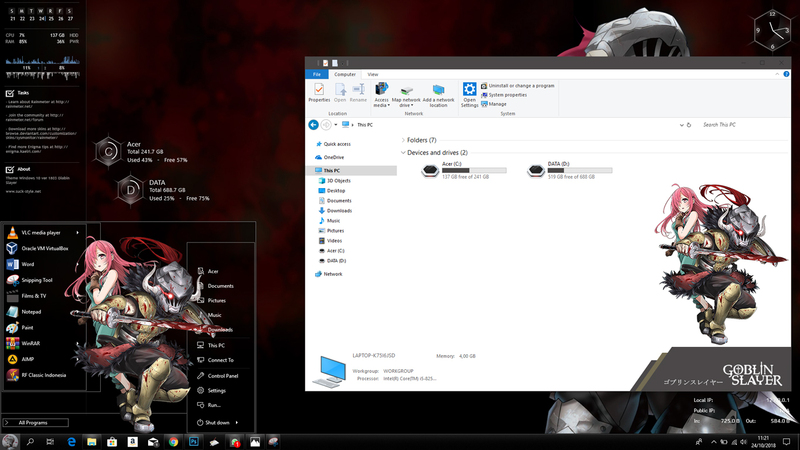 In the previous post, I told you that I had created a theme with a different start menu design. 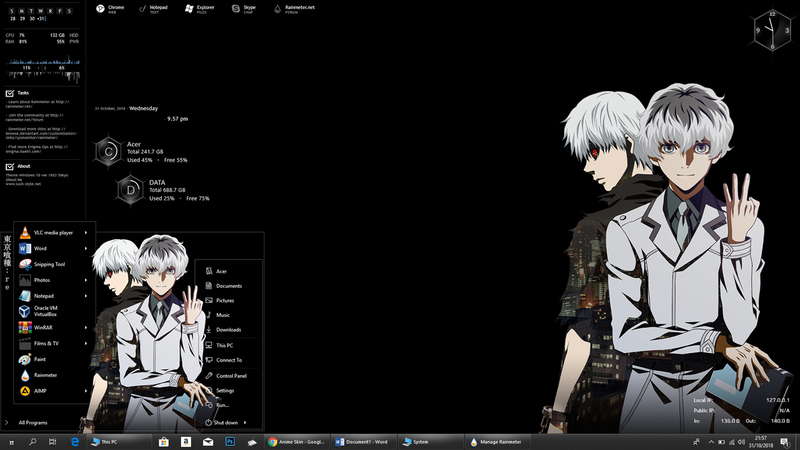 Yup, on this Tokyo Ghoul : Re theme, I am using the design. Click image to enlarge.